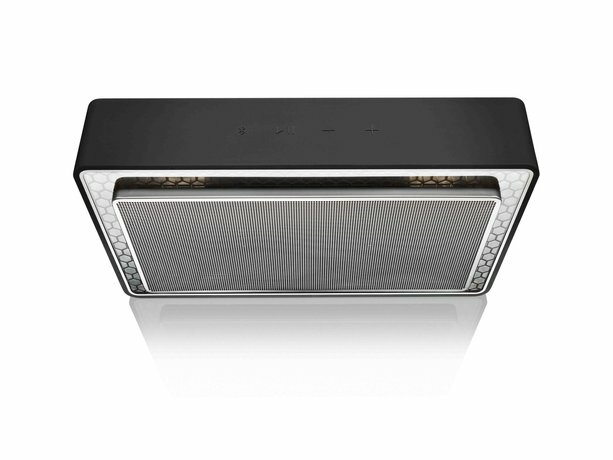 Nominally, Riva’s Turbo is just another Bluetooth speaker system. 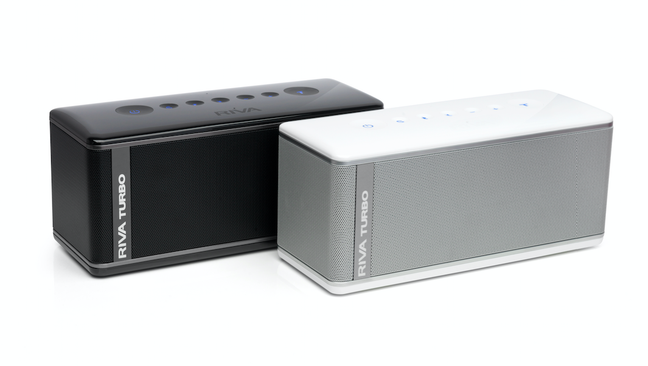 But look (or better yet, listen) a little closer and you’ll discover that the Riva Turbo is high-end audio in miniature. Weighing just three pounds and about two-thirds the size of a loaf of bread, the Turbo throws a huge yet defined soundstage, offers wide dynamics, and delivers shockingly deep bass extension for its size. It will run for up to 26 hours from its integral battery. It’s perfect for a bedroom system, garage, or travel—and a very nice travel case is available. NAD and PSB have teamed up to deliver hi-res, whole-house audio that combines superb sound reproduction with twenty-first-century connectivity. 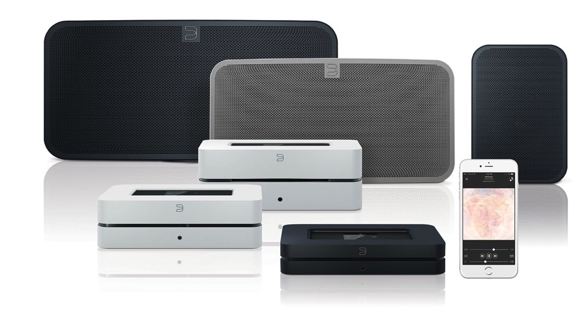 Bluesound comprises five products: the Pulse ($699), Node ($449), Powernode ($699), Vault ($999), and Duo ($999). With them you can now stream high-res audio up to 192kHz/24-bit throughout your home via WiFi or Ethernet, and control each zone’s source material and volume levels individually or as a whole. There is no need to purchase all products at once—simply add them as needed and expand your whole-house audio system to include up to 34 zones. The B&W guys clearly know the musical terrain in this wireless/streaming radio mini segment. The T7 sounds poised and full-bodied with a fluid, rhythmic feel that will truly surpass expectations. Keep in mind that as a Bluetooth device the T7 requires fairly close proximity to the server. I think it should also be said that the T7 proves that portable, wireless speakers can be consistent with high-end values. That, and suitable for take-out too. 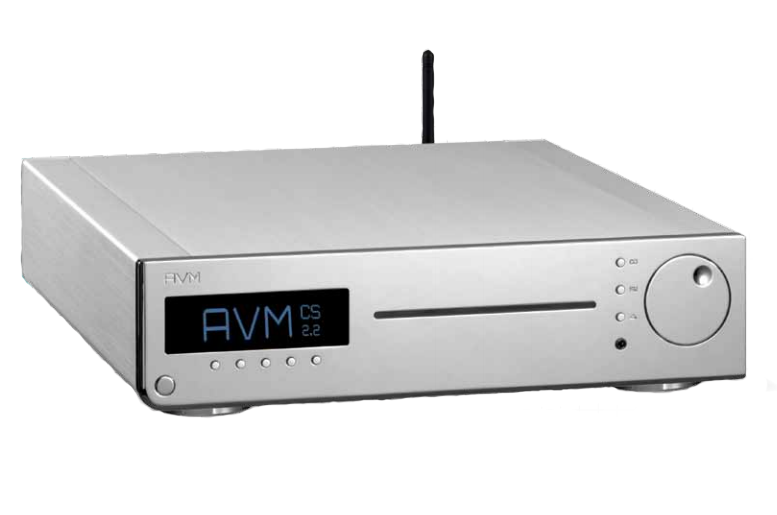 AVM’s Inspiration CS2.2 is a beautifully designed, intuitive to operate, sleekly compact, all-in-one preamp, 150Wpc Class D amp, CD player, FM tuner, and neatly tricked-out audio control unit. It also comes equipped with a USB-input as well as a phonostage that accepts moving-magnet and higher-output moving-coil cartridges. The CS2.2 has the ability to largely get out of the way and let the music shine through. Its sound is quite uniform across the spectrum—neither warm nor cool but precise, smooth, balanced, and pure. It’s capable of fine dynamic nuance and will play quite loudly, though it doesn’t have the “slam” one normally gets from conventional Class AB designs of a similar power rating.